The Best Birth blogs from thousands of top Birth blogs in our index using search and social metrics. Data will be refreshed once a week. About Blog On The Birth Hour blog, listen to and read all types of birth stories from women all over the world. The blog has been featuring homebirths, cesareans, natural births, preemie births and more. Follow this blog to read every type of birth story & info to get you started! Facebook fans 5,278. Twitter followers 231. About Blog Birth Without Fear began as a simple passion to let women know they have choices in childbirth. It then evolved to become an inspiration and support to women and their families through their trying to conceive, pregnancy, birth and post partum journeys. Follow this site as it is dedicated to empowering women to birth without fear. Facebook fans 394,819. Twitter followers 8,164. About Blog Holistic midwife that offers services such as online childbirth course, yoga classes, consults, coaching and mentoring birth professionals, helps new midwifes start practice, newsletter, ebooks, webinars and offers information on natural birth, holistic midwifery, yoga, and your journey as a mother. Follow this blog and get information about supporting and empowering women in their childbearing years and beyond. Facebook fans 10,131. Twitter followers n/a. Fife Lake, MI About Blog Get the latest news on the benefits of natural birth, preparing for labor, having a great pregnancy, and bring up a healthy baby. Follow this blog to discover critical information on what really works to prepare you for natural childbirth (and some tips about what doesn’t), so you can go from start to finish on your baby’s birthday, naturally. Facebook fans 17,893. Twitter followers 1,800. About Blog Essentials for joyful expectations. Helping devoted mothers prepare for the natural baby births that they desire, so they can give the gift of a healthy life for their babies without added stress. Follow this site to get answers you need to make this natural baby birth possible. Facebook fans 463. Twitter followers 321. About Blog Birth Becomes Her equips birth photographers from around the world with tangible resources and a space to share their birth photography. Sharing beautiful birth photography from birth photographers around the world. Follow this blog to get birth photography resources and much more. Facebook fans 291,206. Twitter followers n/a. New Jersey About Blog Our mission is to educate and inspire women and men to research and understand their options to create a safe, satisfying and pleasurable birth. Follow this blog to discover what's attainable from giving birth naturally as seven women and their partners share their most intimate moments. Facebook fans 26,350. Twitter followers 10,497. South Pasadena, CA About Blog A better birth naturally. Del Mar Birth Center South Pasadena provides a safe & supportive environment for women’s health care and complete prenatal, labor, birth and postnatal care. Follow this blog to know more about freedom and support for women to give birth. Facebook fans 994. Twitter followers 64. Melbourne, Victoria About Blog A Podcast of Mothers' stories of childbirth. Weekly interviews of first hand accounts of child birth in Australia. Designed to help educate and inform first time pregnant women, parents wanting to have better births and birth enthusiasts who love to hear and tell birth stories. Follow this site to get stories of childbirth. About Blog Global network of free to attend antenatal discussion groups, aiming to improve birth. We aim to challenge the current epidemic of negativity around childbirth by bringing women together. Follow this blog to get information on improving childbirth. Facebook fans 47,424. Twitter followers 11,516. About Blog Spreading positive childbirth experiences. Natalie and Kate run tellmeagoodbirthstory. They are two mothers and birth educators who live around the corner from each other in South West London. Facebook fans 5,058. Twitter followers n/a. Nottingham, England About Blog Helping you to prepare for a fear free birth. Alexia's Fear Free Childbirth podcast can help you to have a stress-free pregnancy and prepare for a fear free childbirth and positive birth experience. Facebook fans 1,332. Twitter followers 422. Brisbane / Gold Coast About Blog The Hypnobirthing Australia™ program is uniquely designed for Australian mothers and their birth companions. Hypnobirthing Australia™ provides hypnobirth natural childbirth antenatal classes. Facebook fans 7,596. Twitter followers 272. Maryland About Blog Information & Inspiration for Pregnancy, Birth & Parenting. Hi! Welcome to Better Birth Blog, where I share information and inspiration for the childbearing year as well as love and help for breech babies. I offer evidence-based, hands-on birth classes in Maryland and online. Facebook fans 674. Twitter followers 19. Lincoln, NE About Blog Birth Beyond Bias is dedicated to providing evidence based education, empowerment, and advocacy to improve birth outcomes for pregnant women and their babies. Facebook fans 2,679. Twitter followers 148. Boca Raton, FL About Blog Dedicated to making waterbirth an available option for all women. The very specific mission of Waterbirth International continues at all times to be: We insure that Waterbirth is an available option for all women in all birth settings. Facebook fans 12,743. Twitter followers 492. Texas About Blog A convenient, comprehensive solution for your waterbirth. Either way, we're here to help you have the waterbirth of your dreams! Facebook fans 973. Twitter followers 194. About Blog Andaluz Waterbirth Center upholds the rights of healthy women to birth their baby where and how they choose and provides an environment which is safe and sensitive to do so. About Blog Giving Birth Naturally publishes evidence-based childbirth education articles, online childbirth classes, natural childbirth videos and resources for each woman giving birth. Facebook fans 5,011. Twitter followers 448. North Carolina, USA About Blog Carolina Birth and Wellness offers total Wellness Support for families with birth doula services, massage therapy, and infant massage classes. Facebook fans 536. Twitter followers 54. About Blog Sharing my passion for natural birth with others in Saudi Arabia and around the world! I am a midwife, childbirth educator, lecturer, doula, and natural mother of eight children. Lubbock, Texas About Blog Lubbock's only home birth midwife, offering prenatal, birth and postpartum care in the comfort of your home. Serving Lubbock and Plainview, Texas, as well as surrounding areas. Enjoy reading other women's birth stories? You've come to the right place! Facebook fans 688. Twitter followers 11. Facebook fans 98. Twitter followers 172. Omaha, NE About Blog The Birth Connection is a safe community where we discuss and learn from each other about pregnancy, birth, postpartum, and parenting topics. Read about our latest news, people, and birth topics. Facebook fans 2,292. Twitter followers 12. UK and US About Blog Edel Immersys is a leading supplier of water birth pools that are designed to create an intimate and peaceful birthing experience. Subscribe to our blog and stay up-to-date with the latest news and updates from the water birth industry, and the Edel Immersys team. Facebook fans 5,424. Twitter followers 3,252. Reno, NV About Blog Proudly supporting people and their families with Childbirth Education and Birth Doula Support for natural birth, medicated birth, epidural birth, high risk, cesarean birth, vbac, homebirth or hospital birth. Facebook fans 745. Twitter followers 40. New York About Blog JJB Midwifery is a full-scope midwifery practice attending birth at home in NYC. Karen and Martine started JJB Midwifery in 2002. We both became midwives to attend births in people's homes. About - Rock My Family offers a wealth of advice and support to other mamas who are navigating the joys and challenges of parenting. About - On a mission to make hypnobirthing more accessible. Group classes across the UK & online. Home of the world’s most affordable & accessible hypnobirthing program. About - Birth You In Love is on a mission helping women understand how childbirth can be calm, positive and empowering! Founded by the ‘Poetry Doula’ Kati Edwards. Understand exactly what you need to know to be in-control and fear-free during your baby's calm and gentle birth. About - Peace, Love & Birth specialise in Hypnobirthing in Walthamstow and the surrounding areas. Empowering couples all over East London to prepare for a positive birth with the amazing benefits of Hypnobirthing and Pregnancy Yoga. About - Birthzang was founded by Eleanor Hayes in October 2012. My aim is to empower and educate parents to have an awesome labour and birth but teaching them to understand the mechanics of the body, and provide a toolbox of strategies to enhance labour and birth, and make it easier, safer, more efficient and less painful. 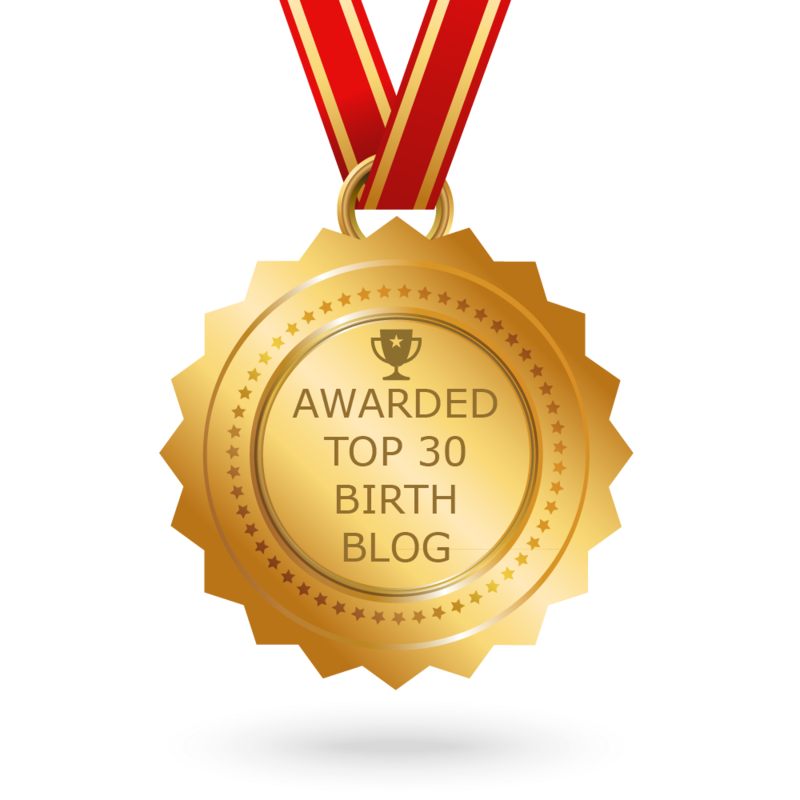 CONGRATULATIONS to every blogger that has made this Top Birth Blogs list! This is the most comprehensive list of best Birth blogs on the internet and I’m honoured to have you as part of this! I personally give you a high-five and want to thank you for your contribution to this world.